Top comes off for easy cleaning! Build a platform for your coop! 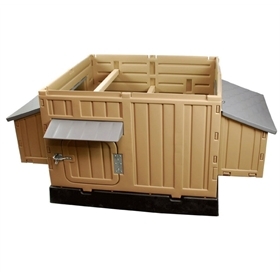 The Snap Lock "chicken door"
This larger version of the original Snap Lock coop comes with three roosts, four nesting boxes, and has room for up to eight hens! Please read below for more details. 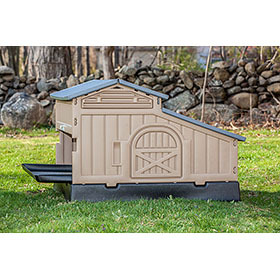 Henhouse Dimensions: 64" x 39" x 42"
It's been your dream for some time now to keep a few hens in your backyard, but you're concerned about aesthetics. You have that fussy neighbor who brings out a ruler to measure your lawn on a regular basis and don't necessarily want to draw their attention to the presence of a small chicken flock. So what's your answer? This coop may just be it! 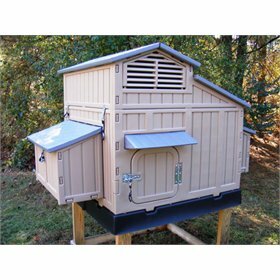 This coop is like the original Snap Lock Coop, but upgraded to a larger and more roomy version. Does your small chicken flock have friends? Bring them on in! 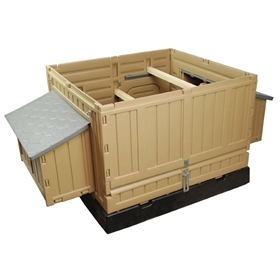 Cleverly designed, it resembles one of the kid's playhouses you often see in backyards, and as such is quite inconspicuous. But make no mistake — this coop means business, not child's play! 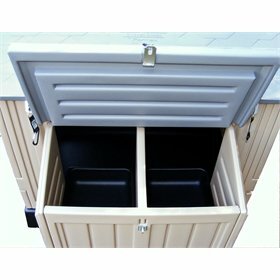 It is constructed from a heavy duty double-walled Polyethylene that withstands impact, weather, chemicals, and UV rays. Its maintenance-free design will allow you to focus on the best aspects of owning a small flock — tuning into "The Chicken Channel" and gathering delicious eggs. 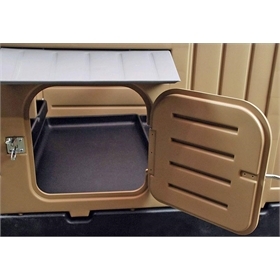 Clean-up is a breeze with the removable sliding litter tray. 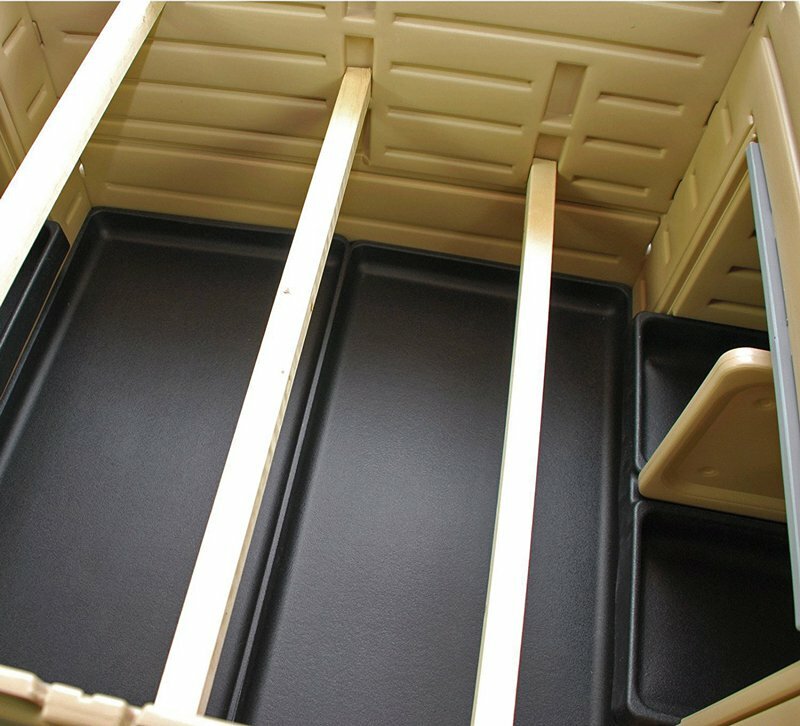 It is made from high density 100% UV resistant Polyethylene plastic, and spans the floor of your coop up to the nest boxes, in order to hold the litter and catch your birds droppings. A removable access wall allows you to slide it out and dispose of the litter — put it on your compost pile to make some great fertilizer! 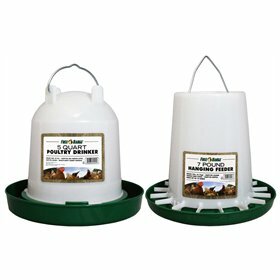 Then simply hose down the tray and replace it in the coop and add more fresh litter shavings. Your birds will appreciate the incrementally adjustable vents located on both the front and rear peaks of the roof — allowing air to flow freely on warm days, and to minimize the cold during wintertime. 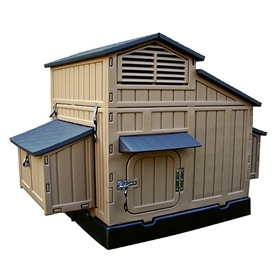 The topmost vent on each will always remain open in order to insure healthy airflow and minimize ammonia buildup. Even in cold weather, it is not necessary nor advisable to completely close the vents. 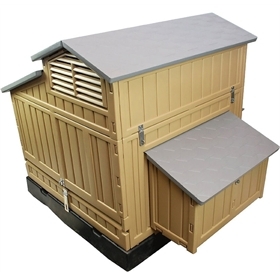 The insulating double-wall construction will help to insure your birds warmth and safety on chilly nights. Plenty of cuddle space is available to them on the three 36" long 2" x 2" wood roosts, featuring rounded edges. 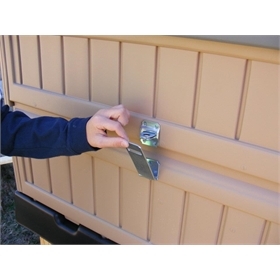 The Snap Lock is built to withstand attempts by those wily predators, like raccoons, to break in and get to your birds. 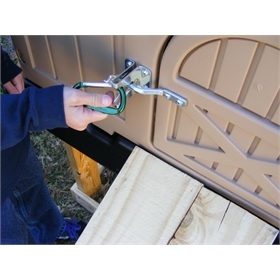 Safety hasps on the roof lid and the wall that you remove to access the litter tray and inside of the coop are secured with provided carabiners. 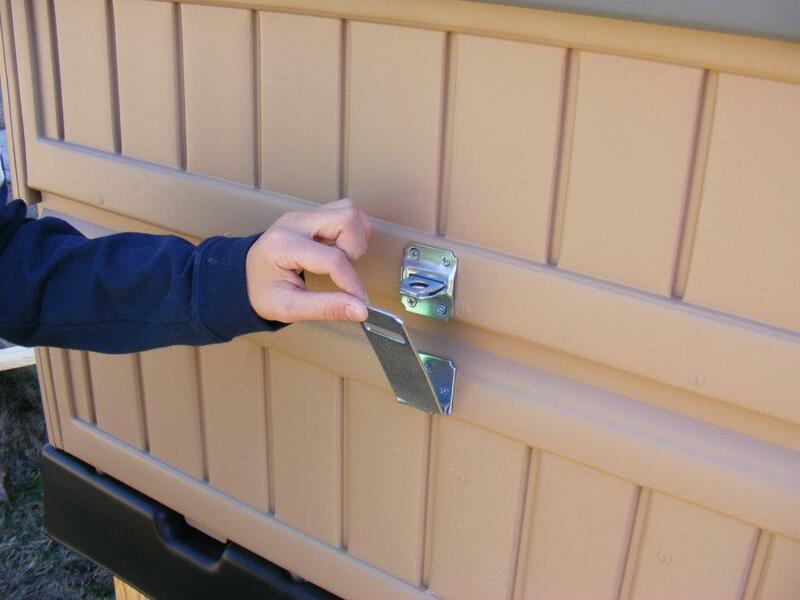 The 12" wide front and back doors feature a gravity latch that is also secured with a carabiner. 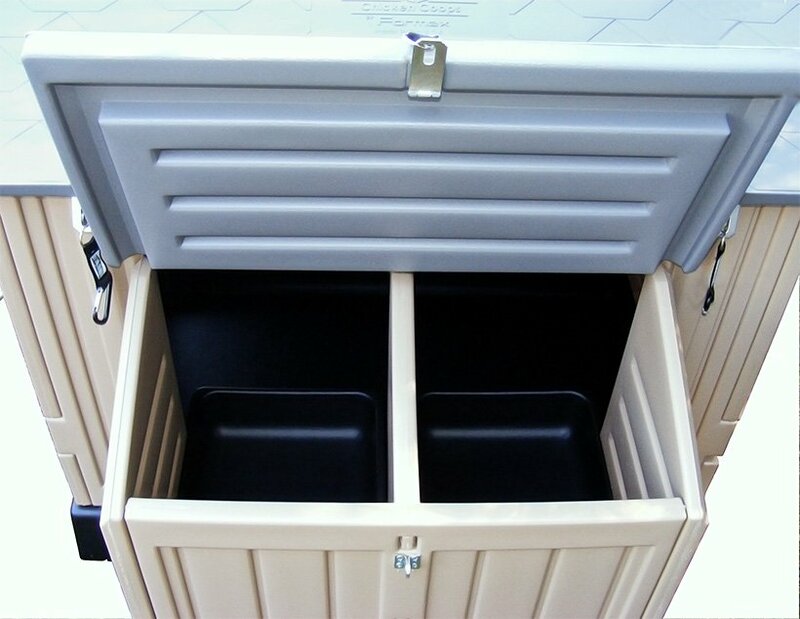 All hardware is zinc plated steel, designed for outdoor use, and comes attached to the panels. 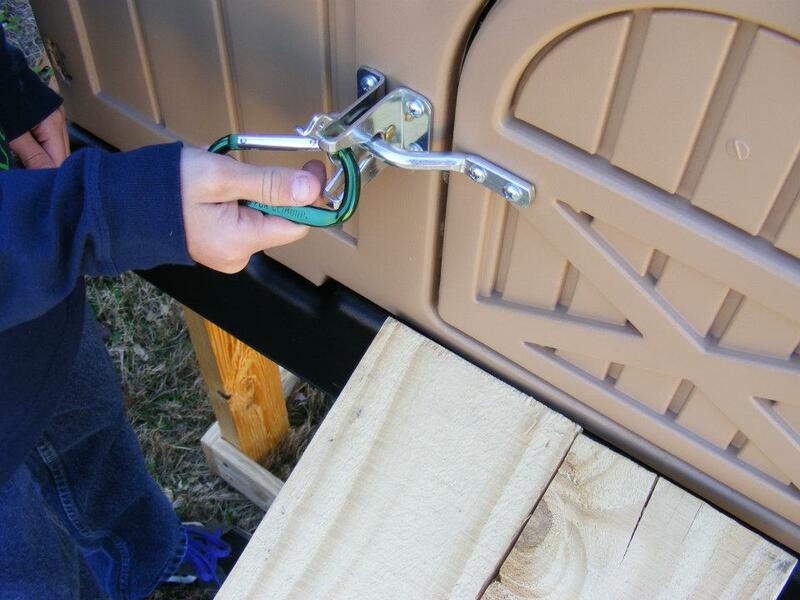 Four carabiners are provided for use with the coop. 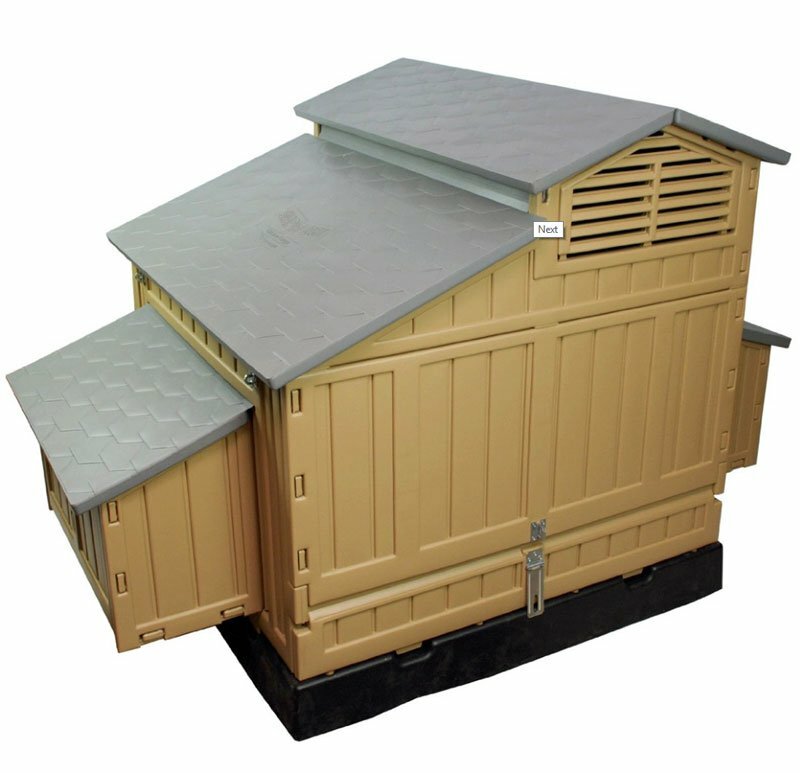 This American-made coop is shipped in a flat-packed box, and you simply snap the durable, lightweight panels together, snap those to the base, snap the roof panels on, insert the interior features, and add your chickens. 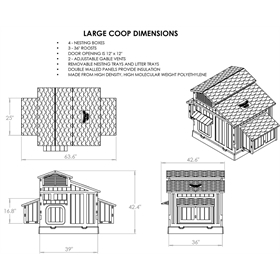 No tools required, unless you decide that you'd like to build a stand to elevate the coop, which you can easily accomplish with some 2 x4's. 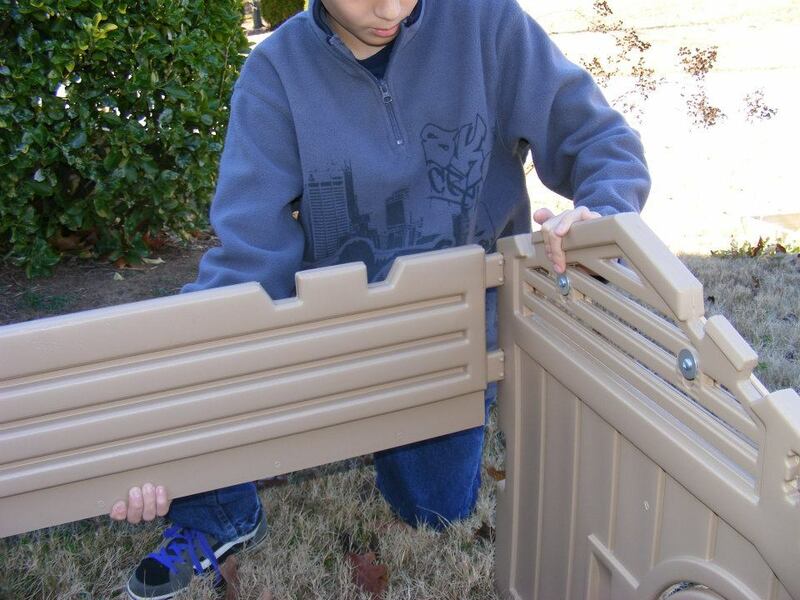 The coop comes with thorough assembly instructions.